Climate Change at the bottom of the world, don’t forget about penguins! I love penguins, hands-down favorite animal. I felt that way as a kid and I haven’t heard any reason to change it. But it seems like they’re not getting their fair share of attention when it comes to the climate change crisis affecting many species. (Yes, I believe in climate change, no meteorologist with any common sense doesn’t.) It seems you can’t turn on a TV these days without being reminded about the plight of polar bears, how their hunting grounds are disappearing and too many are starving. Now this is all true and it’s worth your attention, but how about some love for the creatures living around Earth’s other pole? You’d need a heart of stone to not care about these little bear cubs, but don’t forget, penguins need our help too! The South Pole, like the North Pole, is much more sensitive to rising global temperatures than the tropical and temperate regions. This is because of albedo. (Told you it would come up again soon.) 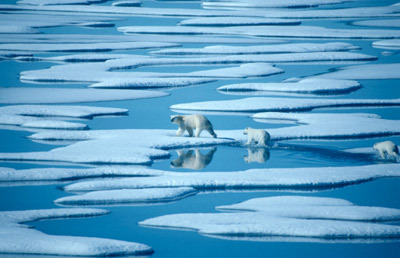 Bright, reflective sea ice is replaced by dark, light-absorbing sea water. This warms the water which melts more sea ice and continues the positive feedback loop. As a result, the polar regions are warming about twice as fast as anywhere else. Now I know what you’re about to say, “Antarctica isn’t an ocean, it’s a continent!”. And you’re right, mostly. 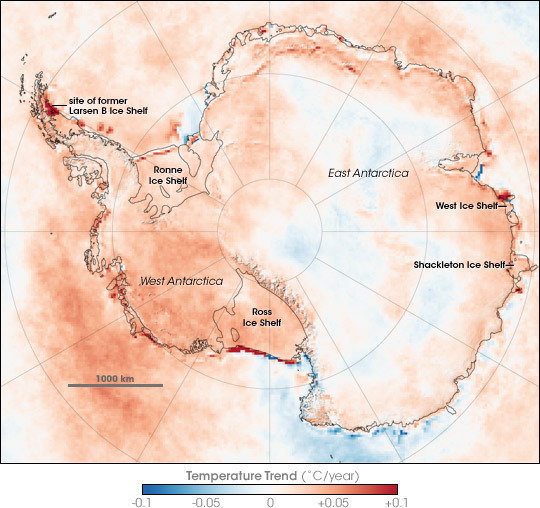 While East Antarctica is a large, elevated landmass which up to this point has been more resistant to warming, West Antarctica is a quickly-warming peninsula surrounded by sea ice. This melting along this western Antarctic ice sheet is what is threatening many penguin populations. Snow and ice reflect most incoming solar rays, while the open ocean will absorb it. 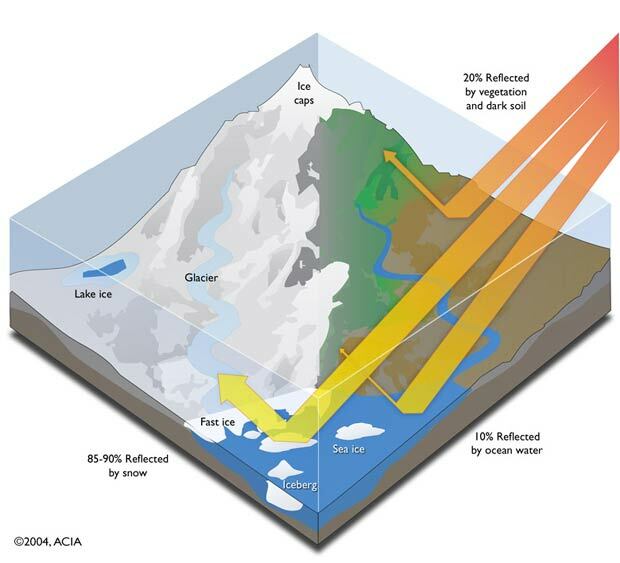 Temperature trends in Antarctica between 1981 and 2007, based on thermal infrared observations made by a series of NOAA satellite sensors. Author: Robert Simmon, NASA Earth Observatory. So why is this so dangerous? Penguins hunt swimming IN the water, not on top of it like polar bears. The issue is the krill the penguins eat. Krill eats algae, and algae grows on ice sheets, so a decrease in sea ice leads to less food for penguins. 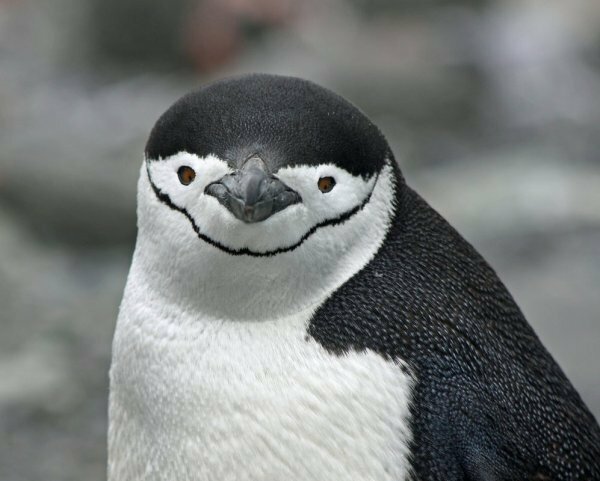 But there are other factors involved too, so let’s take a look at some individual penguin species and see how climate change is impacting them. 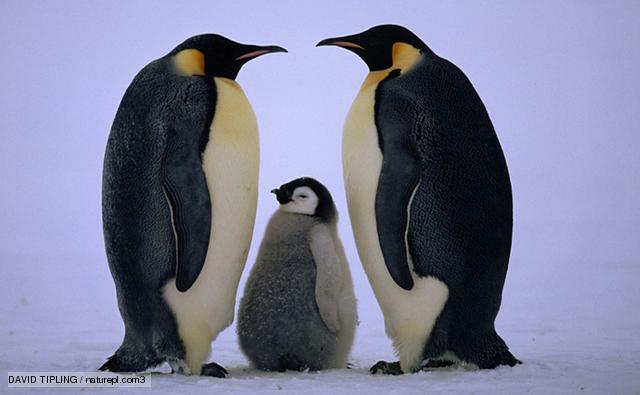 A pair of emperor penguins with chick. Emperor penguins depend on sea ice more than any other species, and that hasn’t bode well for them. Emperor penguins nest of the ice, ice which breaks up which the arrival of summer. Since adult penguins must travel to the ocean to find food, melting ice may sound like a positive, but earlier melting disrupts the breeding process and many additional chicks will die. Add this to diminished krill numbers and emperors are in trouble. Their numbers have been cut in half over the past 50 years. 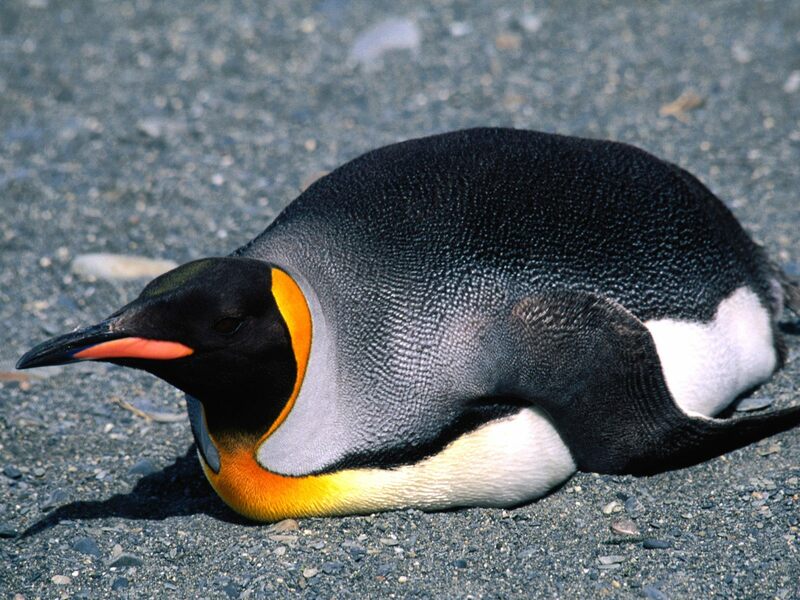 The King Penguins live in the more northern reaches of Antarctica. Air temperatures have been increasing very rapidly, diminishing levels of sea ice, and more importantly, krill. This creates a particularly dangerous situation for the King, which may be doomed by their own breeding process. King penguins have a breeding cycle which takes over a year, making them vulnerable to food shortages. Unfortunately, the situation with the Kings is so dire climate change may render them extinct. Adelie PenguinsAdelie penguins are an interesting, and hopefully more optimistic, case. 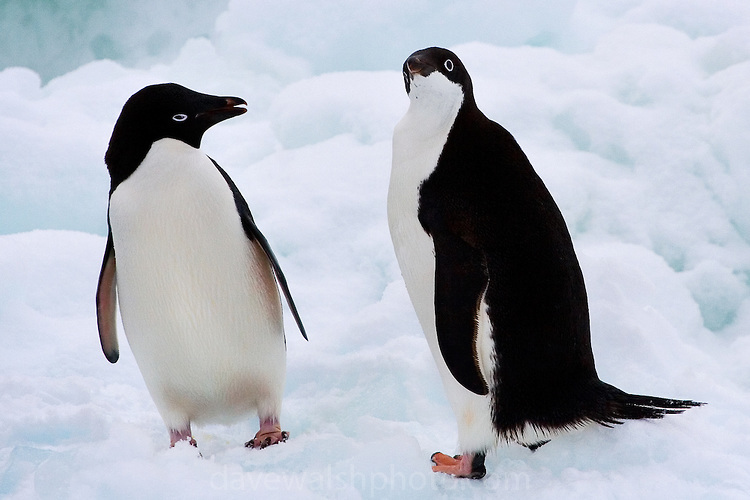 For the Adelie, their level of success depends of latitude. The penguins living in Antarctica’s more northern regions are suffering like the Emperor and King, but those in southern regions are actually benefiting. Why? Historically, expansion of Adelie colonies has been restricted by glaciers. Recently, many of these glaciers have melted considerably, opening up new areas for habitation. Additionally, the breaking up of sea ice in the extreme southern regions has given the Adelie easier access to their food supply of krill. As of now, the future of Adelies is uncertain, but it cannot be denied that some colonies are currently on the rise. Gentoo or Chinstrap? What do you think? I’m grouping the Chinstrap and Gentoo species together because climate change is affecting them very similarly. Unlike the three previous species, these penguins prefer open water to sea ice. As sea ice decreases across the Western Antarctic Peninsula, Adelie populations are retreating and it is Chinstraps and Gentoos that move in to take their place. This may give you the impression that these penguins are better off with climate change, but food shortages have begun to decrease their numbers. And of course there are several all species, all in similar circumstances. Penguins, like polar bears, are in trouble. Both of the poles are warming faster than the rest of the world and it’s putting local wildlife at risk. I hope all of you can find your own reason to get involved.